What’s the Number One reason people say they don’t wear hearing aids? A single hearing aid costs between $3000 and $4000 and most people with age- or noise-related hearing loss need two. Medicare does not cover hearing aids — even for people who are profoundly deaf — nor do most private insurance plans. Medicaid may provide hearing aids for children up to a certain age, but not often for adults. If you’re in your 40s or 50s, you may think this post doesn’t apply to you. 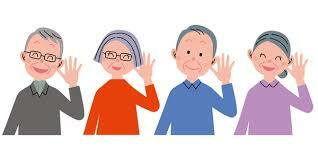 But more than 50 percent of those with hearing loss are under the age of 60. Untreated hearing loss can lead to more severe hearing loss as you age. Hearing loss is associated with a number of the conditions that many of us most fear about getting old: cognitive decline, including dementia and Alzheimer’s), depression, isolation, a greater risk of falls, and other physical and mental problems. There’s increasing evidence that treating hearing loss can offset or mitigate those problems. Earlier this month, the prestigious National Academies of Sciences, Engineering and Medicine, made a series of recommendations that, if adopted, could revolutionize the way consumers receive and pay for hearing health care in the United States. The report called for cheaper hearing aids, over the counter-hearing-aids, insurance coverage for hearing aids, greater transparency in the pricing of hearing aids, changing the standards for hearing aid programming so that any health care professional (not just the one you bought the aid from) can program device settings. The report noted the need for prevention, especially from noise. And it noted the need for access under the ADA. In addition to making general recommendations it proposed specific ways to enact them. Last October, another prestigious panel, the President’s Commission on Science and Technology, also took on the issues of low hearing aid use, the high cost of hearing aids, the lack of health insurance coverage, and society’s general ignorance about hearing loss. 1. Buying a hearing aid should be as easy as buying glasses. You go to a professional to get a hearing test. The resulting audiogram is similar to a prescription. You can then take that audiogram to any retailer (including low-cost retailers like Costco) to be filled. Under the current system, you could be obligated to buy hearing aids through the facility that administered the test, at a much higher cost than Costco or other retailers. 2. The FDA should create a new category of hearing aid costing $1000 or so, for people with standard age- or noise-related hearing loss who may not need the bells and whistles that you get for $3500. Meanwhile, why take a chance? Treat your hearing loss. But there are a lot people who are wary about these recommendations, including the Hearing Industries Association of America and audiologists, primarily represented by the American Academy of Audiology. Treating hearing loss is essential and the recommendations in the two reports would make that much easier for everyone. You can download the report here.link: http://www.nationalacademies.org/hmd/Reports/2016/Hearing-Health-Care-for-Adults.aspx The full report — “Hearing Health Care for Adults: Priorities for Improving Access and Affordability” — is available from the National Academies Press online or by calling 202-334-3313 or 800-624-6242.